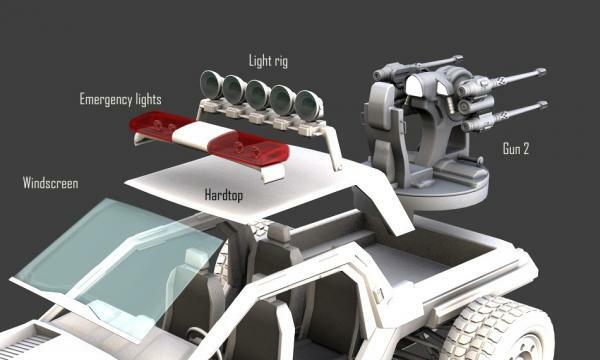 Addons for the Light recon vehicle cheetah: Light rig, emergency lights, windshield, 3 different roofs, stretchers, box cover and heavier gun (with gunner poses). Many thanks for your generosity and skill-a true gent! Thanks! DLed your LRV a few years ago! This is really nice! Porsimo (6 years ago) Inappropriate? refsocrd1 (6 years ago) Inappropriate? Thanks for adding these to the sharecg world. Had them for awhile downloaded from your old site, still using them for renders. They go with the dzfire stuff perfectly.